Manasrekha is a one-stop shop for various kinds of hardware requirements across wireless technologies. We are proud to present HT-Vox, our in-house brand, which provides a wide range of accessories in sync with your demand. These accessories are the perfect aid for your products. They include mic, Headphones, radio, chargers, adapters, etc. The ear-hook mic sits on your ears like a spectacle frame. The microphone is activated with the push of a button. This mic gives you all the privacy you need. The D-ring earpiece is similar to the ear-hook mic except that the D-ring is made up of hard plastic making it easy to wipe between uses. The swivel is the newest external mic. It is comfortable and easy to clean. 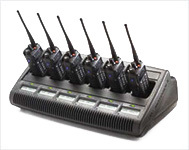 Manasrekha brings in the new technology of wireless mics. 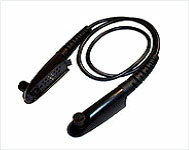 This throat mic is designed in such a way that it can pick up the user's voice directly from the vocal cords. This helps in blocking the background noise for a clear transmission of messages. 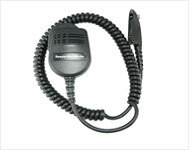 The throat mic can be activated with the push of a button. These mics can be fitted with earphones for an audio aide. Manasrekha is a one-stop solution for your wireless needs. Our new selection of light and heavy-duty headsets is truly innovative. 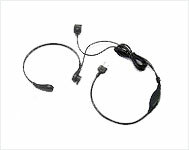 The light duty headset offers a behind the head and over the ear with mini boom. The heavy-duty headsets have a choice between single muff and double muff. Both have an inline and muff push to talk activation. 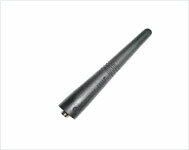 They provide excellent noise reduction and are the most demanded products in the market. Manasrekha introduces the two-way radio cases holsters chest packs. 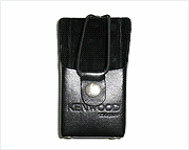 They are available in nylon or leather and can be attached to the belt with a metal clip. 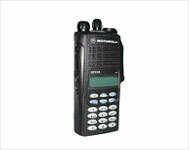 The pack ensures longevity of the radio as it protects it from the environment. A secured belt prevents the radio from dropping. Also, the use of a mic ensures that the radio is not lost. HT Vox is a registered trademark with Manasrekha. 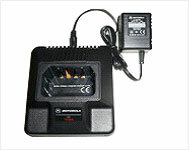 We have introduced a whole new range of chargers and adapters. An adapter is a physical device that allows one hardware or electronic interface to be adapted (accommodated without loss of function) to another hardware or electronic interface. 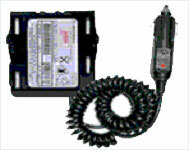 The adapters of the HT Vox range are lightweight and have a high capacity. They are made using the best quality material. 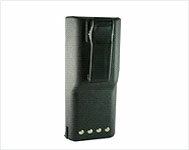 It has an impact-resistant design with a dual protection PCM. It also has a short circuit protection and ultrasonic sealing technology. HT Vox is a registered trademark with Manasrekha. We have introduced a new range of Headphones specially designed for applications requiring excellent quality. Enjoy the ultimate audio experience and maintain privacy in your conversations with these Headphones equipped with low static and background noise elimination technology. The comfortable design makes it easier to use for long hours without strain. We are proud to present our in-house brand HT Vox, a registered trademark with Manasrekha. 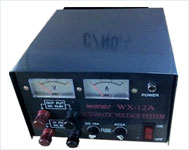 HT-Vox products are manufactured in Taiwan in accordance with FCC approved standards, and imported and reassembled in India. The state-of-the-art technology and stringent quality checkpoints employed during the manufacture and reassembly ensure that HT-Vox products are of the highest quality and reliability.